Fair Haven Beach State Park has one of the finest public lakefronts in upstate New York, with high bluffs above sandy beaches and hilly woodlands. The park features 1500 feet of beautiful sandy beach including 600 feet of guarded swimming area. Inland, Sterling Pond and Creek are centrally located amongst the geological transition between wood and water. Campsites and cabins are nestled within the gently rolling woodlands. Fishing and boating opportunities are plentiful in Lake Ontario and the adjoining Little Sodus Bay. 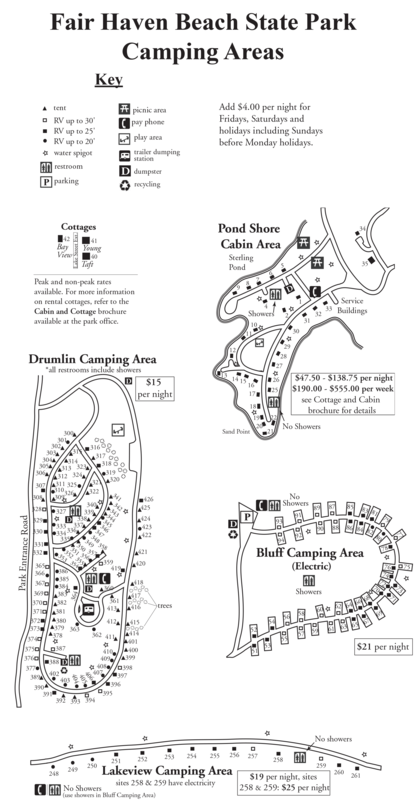 Fair Haven offers 183 campsites of which 7 are directly on the water. 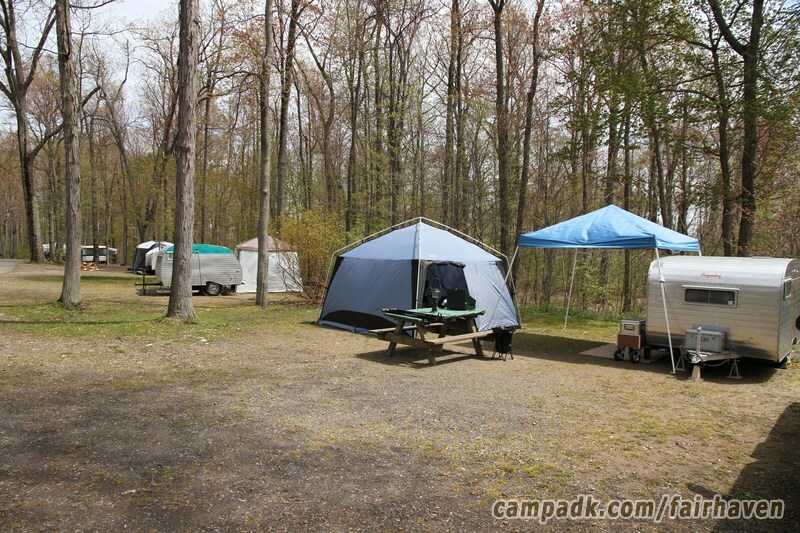 Campsites up in the Bluff area offer great views over looking Lake Ontario. The main attraction here is the extensive beach area and the boating / fishing opportunities. There are also 33 cabins available. Fair Haven Beach State Park is located in upstate New York on the Lake Ontario shoreline. 3 out of 5 lakeside stars. Offers a fine lake view camping experience with many sites overlooking the water from a far, but few that are directly by the water. The campground is by a large sized lake and smaller inland lake for enjoying water activities including swimming, paddling, boating and fishing. Note! The Weather frame below is for the Weather Underground site. This frame is provided for your convenience only. You might wish to open a separate window/tab instead to view Fair Haven Beach weather in more detail. Note! The Weather frame above is for the Weather Underground site. This frame is provided for your convenience only. You might wish to open a separate window/tab instead to view Fair Haven Beach weather in more detail. Note these comments are NOT particular to a specific campsite at Fair Haven Beach !